2D/3D + Dot matrix Hologram sticker. Label cutting can be circle, oval and special shape which is smaller than 20mm*15mm. Hologram sticker can in color of silver, golden and blue. It can be made into transparent Hologram too. Dot matrix Hologram sticker. Label cutting can be circle, oval and special shape which is smaller than 20mm*20mm. 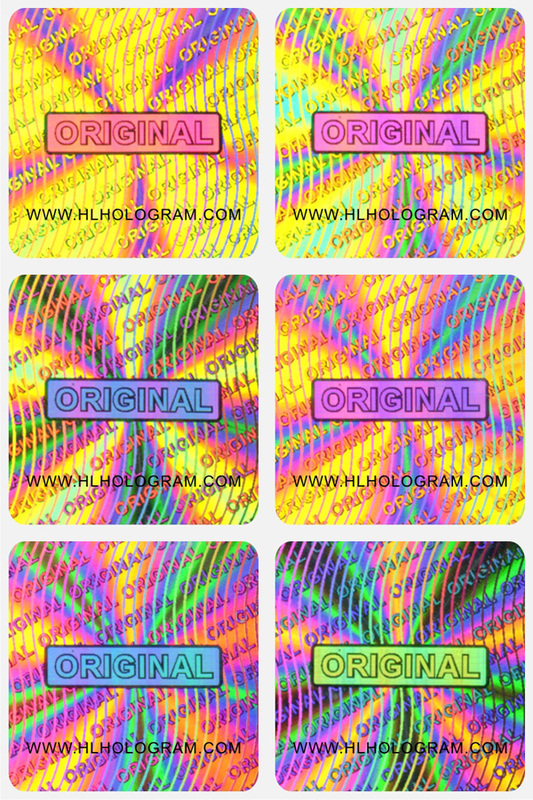 Hologram sticker can in color of silver, golden and blue,etc. It also can be made into transparent Hologram. 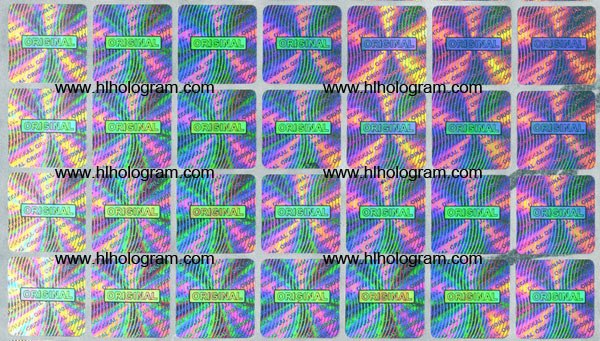 Hologram sticker in size of 10mm*10mm. 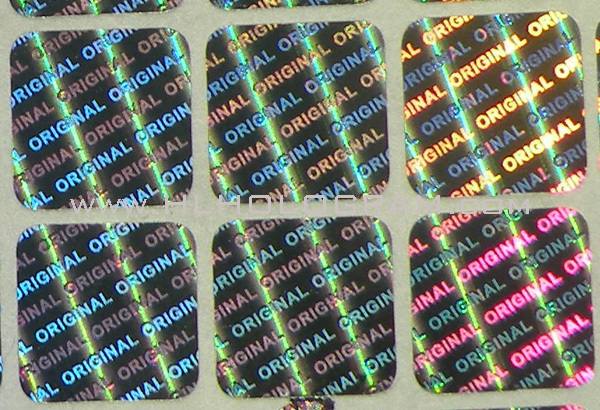 Hologram sticker with 'ORIGINAL' word. 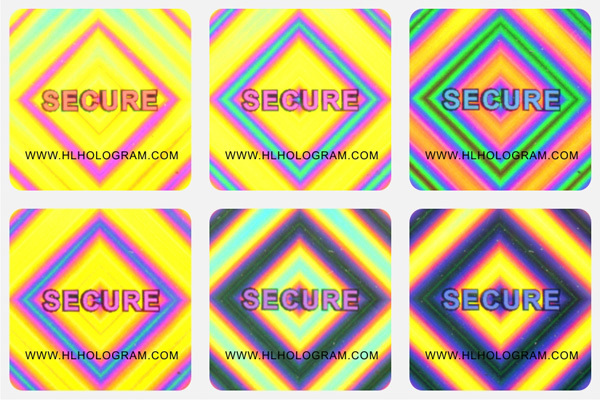 Security Tamper Proof Hologram Sticker. Blue color. 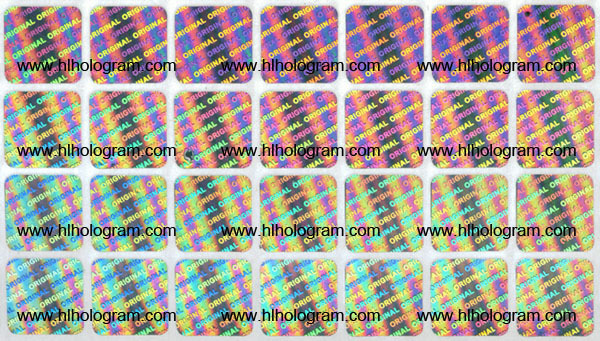 Hologram sticker in size of 15mm*15mm. Hologram sticker with 'ORIGINAL' word. Dot matrix Hologram sticker. Label cutting can be circle, oval and special shape which is smaller than 10mm*10mm. 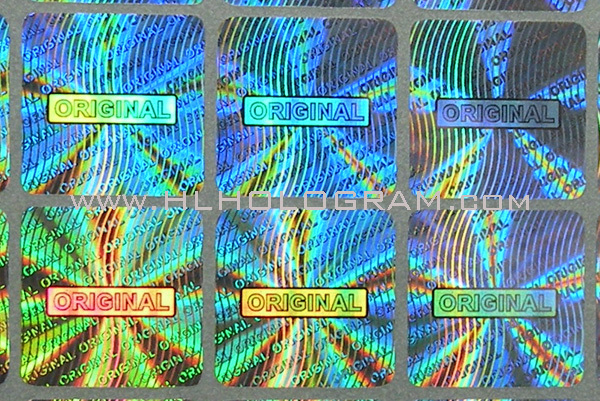 Hologram sticker can in color of silver, golden and blue,etc. It also can be made into transparent Hologram. 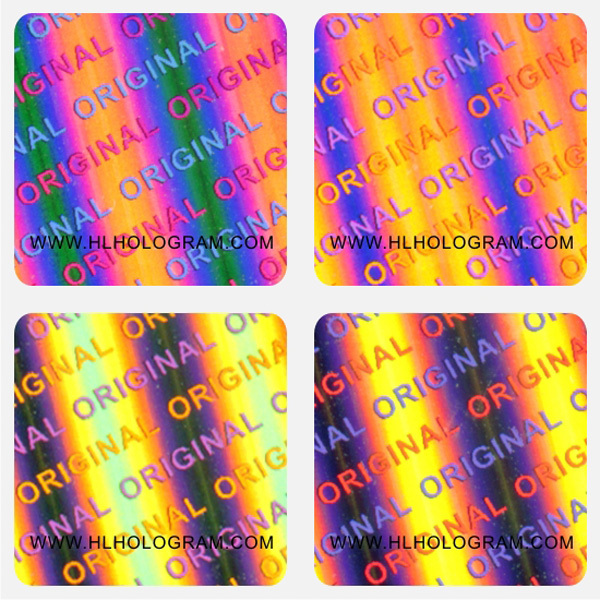 Golden Color Material Security Holographic Label.